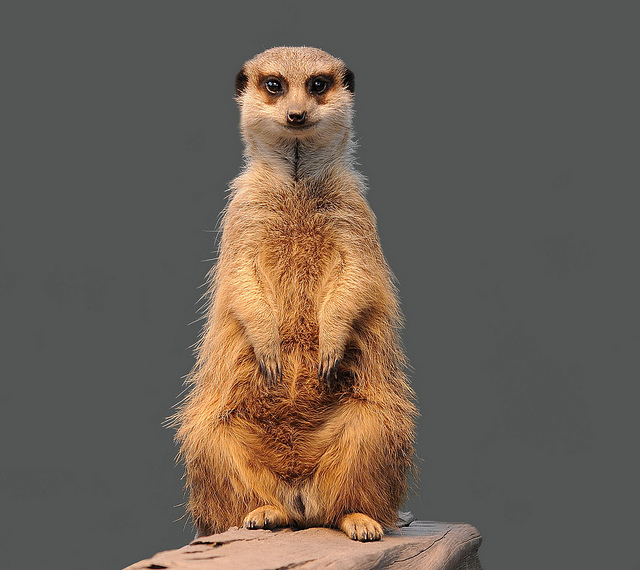 The Meerkat – if any species of animal had a right to be a little irritated by the name we have gifted them, this is one. Of course, they are blithely unaware of any names we might choose to call them, but this small mammal from the heart of Africa is anything but a mere cat. 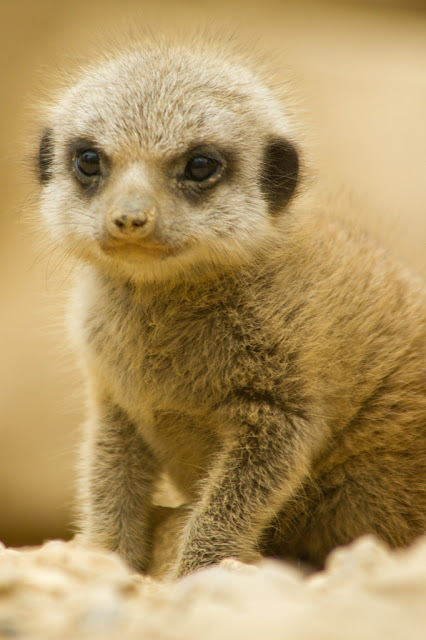 There are many interesting facts about meerkats but first of all it has to be pointed out that the meerkat is not any form of cat, even though you could be forgiven for thinking it was some sort of distant relative. In fact the word comes from Afrikaans (via Dutch) and the animal was given the name because of a misidentification. 'Kat' is indeed Dutch for cat and the word ‘meer’ means lake. Misidentification is perhaps an understatement here. 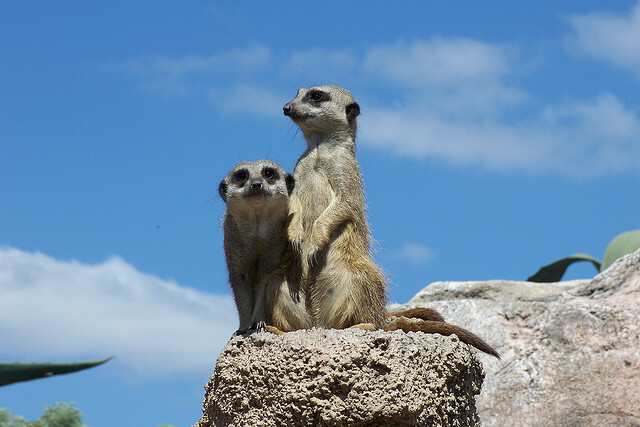 As we have already established the meerkat is no cat – and furthermore it is not attracted to lakes in any way, shape or form. That doesn’t mean to say, of course, that the odd mud spa is not welcome. So far and, well, not so good. 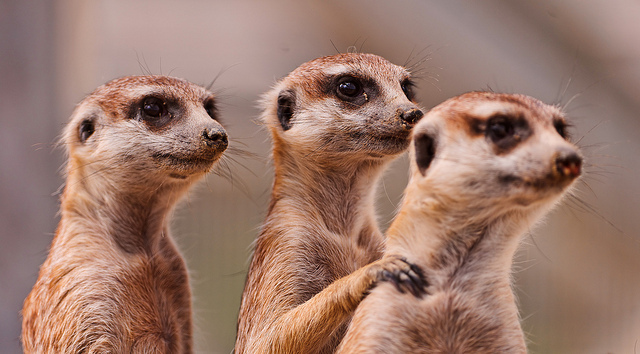 There is a further possibility for where the meerkat got its name. 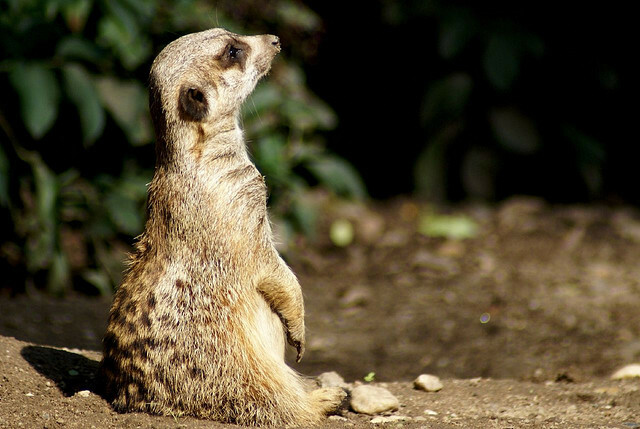 It has been suggested that when meerkats were first encountered by the Dutch East India Company there may well have been an Indian sailor on board the ship. 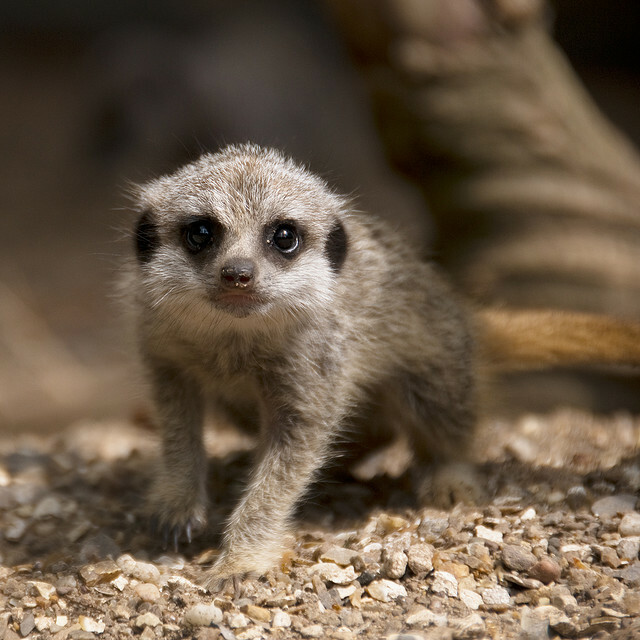 So, perhaps the Sanskrit word for monkey – markata – is where the meerkat got its name. 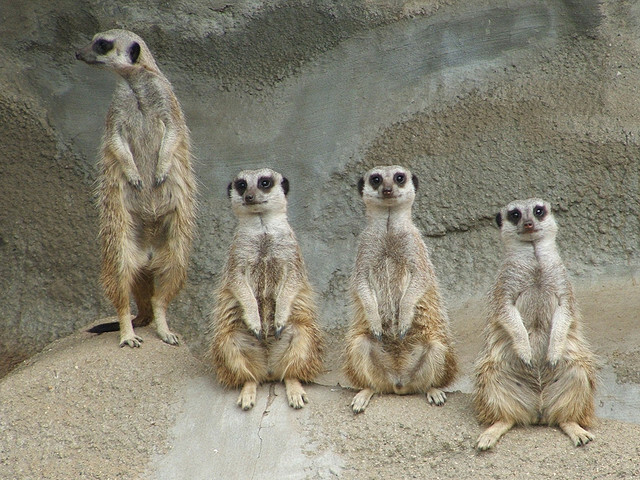 Just to complicate matters, there is an alternative name for the species – the Suricate. This is from the Dutch ‘stockstaartje’ which means ‘little stick tail’. Altogether a more appropriate name but one which is largely confined to Afrikaans speakers. 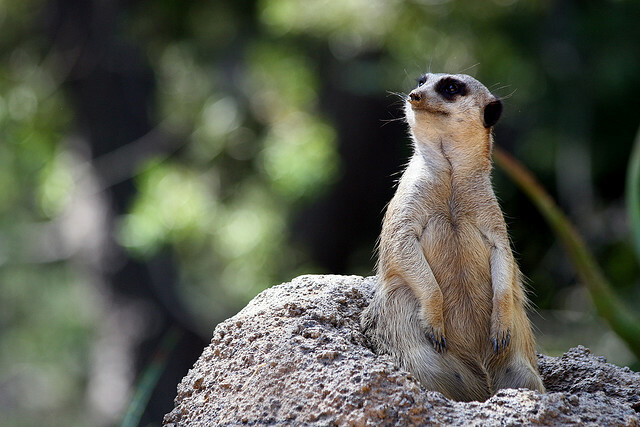 Europeans – certainly in terms of Africa – are very recent visitors and a popular belief in the Zimbabwe and Zambian regions is that the meerkat is a sun angel. These angels are sent to villages by the gods to protect them from the moon devil – or even werewolves. 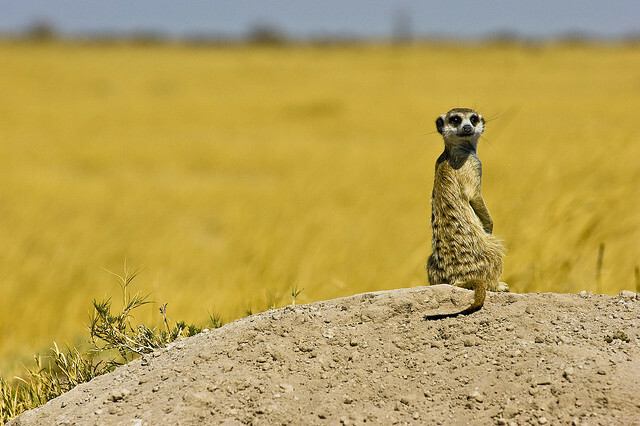 When cattle stray or tribes people are separated from the rest of the community then it is said the meerkat will protect them. 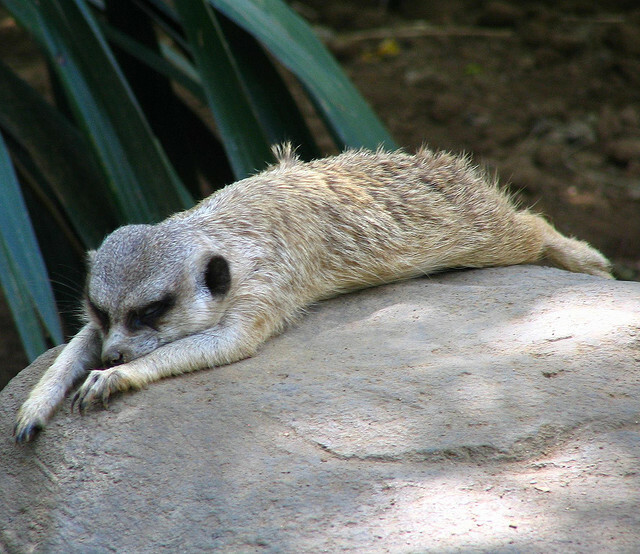 It must be hard work – this little guy is tuckered out. 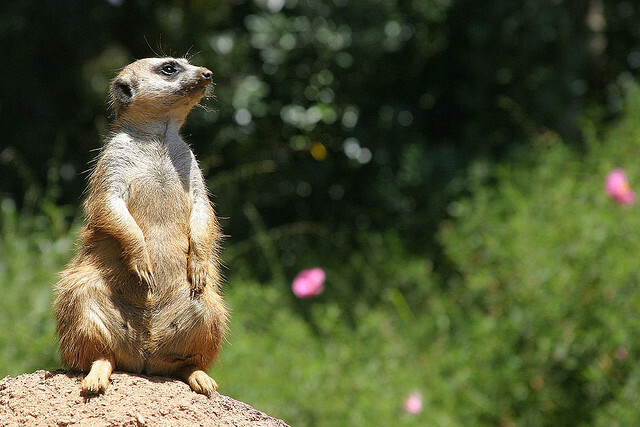 The meerkat is in fact a mongoose. 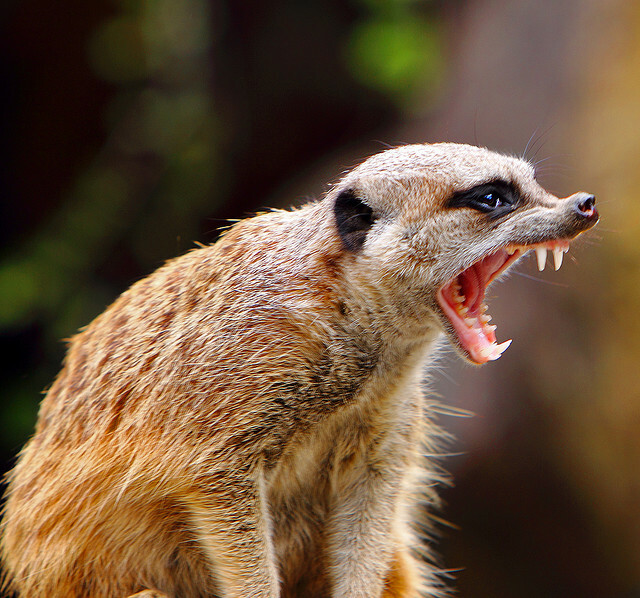 The mongoose family consists of around thirty species spread over the mainland of Africa and southern Eurasia. And – sigh – no, there is no connection whatsoever to geese! 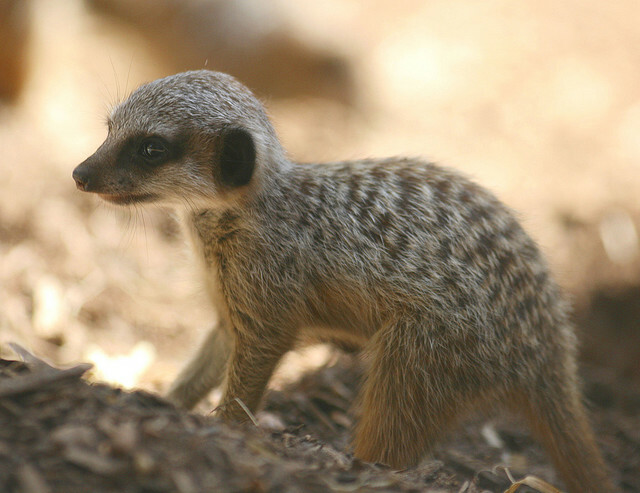 The word mongoose comes from an Indian language called Marathi and their word ‘mangus’ is pronounced in the same way we spell it. 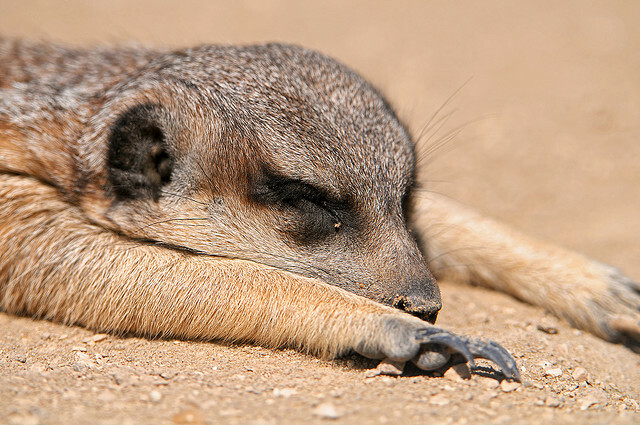 The meerkat is a diurnal species – and what that means is that it is active in the day time and sleeps at night – the opposite would of course be nocturnal. It isn’t a very heavy animal. The males are heavier at about 730 grams and the females generally weigh around ten grams less. It is, however, a long and slender beast which means that the body length can be up to fourteen inches in length. When you add the ‘little stick tail’, which isn’t so little, that can be up to ten inches more. The tail, though, is pretty stick like. All the other mongoose species have bushy tails but the mongoose has a long thin one which tapers down to a tip, often of a reddish color. Perhaps the lack of bushiness is due to the dry and dusty areas it inhabits but, whatever the cause, it uses the tail to help balance itself when standing up. 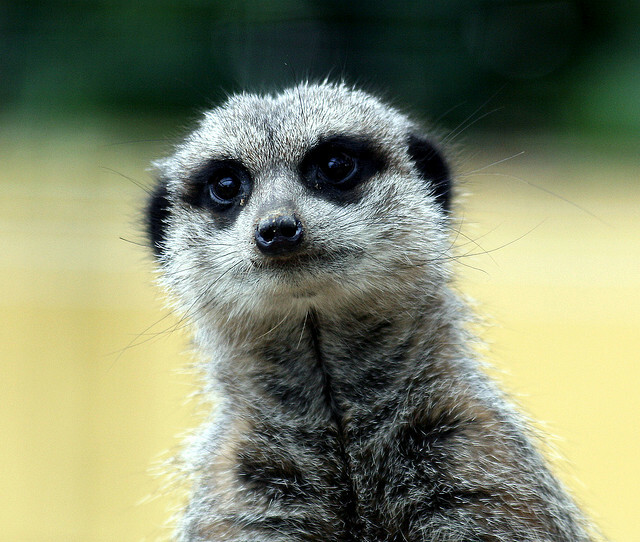 This is when the meerkat begins to look rather more human than it really is. 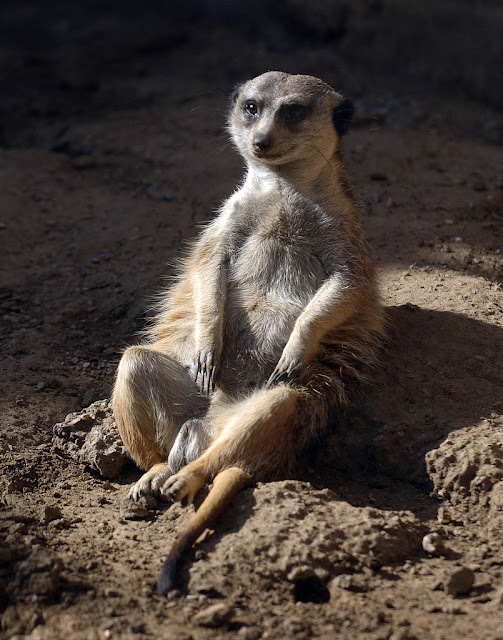 Even when seated and at rest we are likely to endow the animal with more human characteristics than it really has. It is the face which often attracts the onlooker. 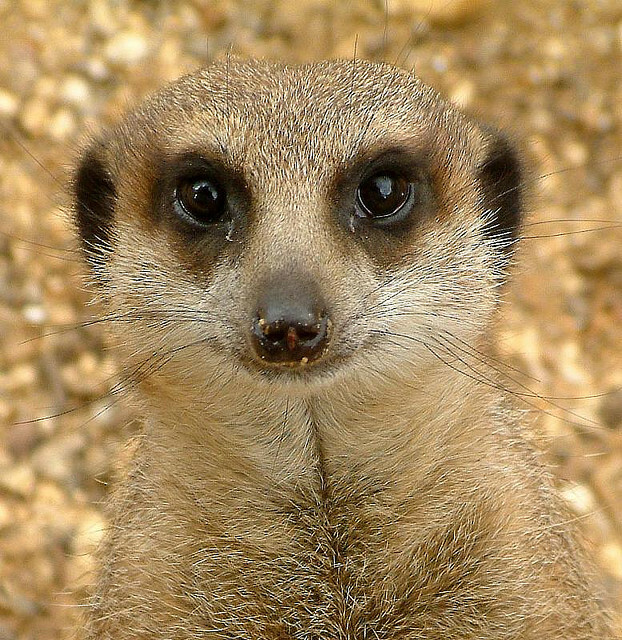 Meerkats always have black patches around the eyes, which to the us makes the meerkat seem more human. The patches are, in fact, to help deflect the strong glare of the African sun. Likewise its ears are black and are crescent shaped. 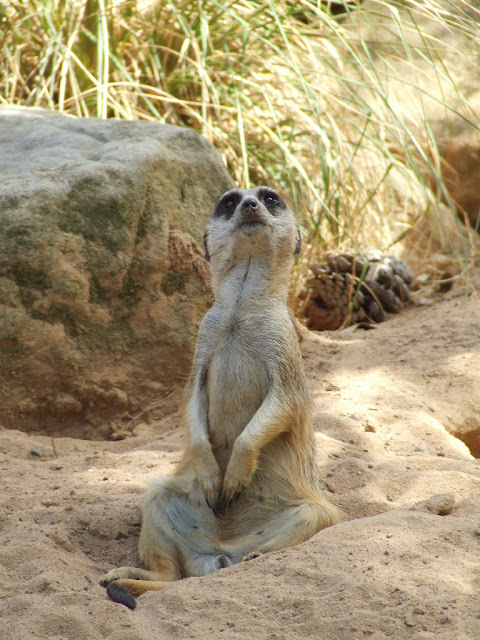 When the meerkat digs – as is its wont – then the meerkat is able to close its ears to keep out the sand. 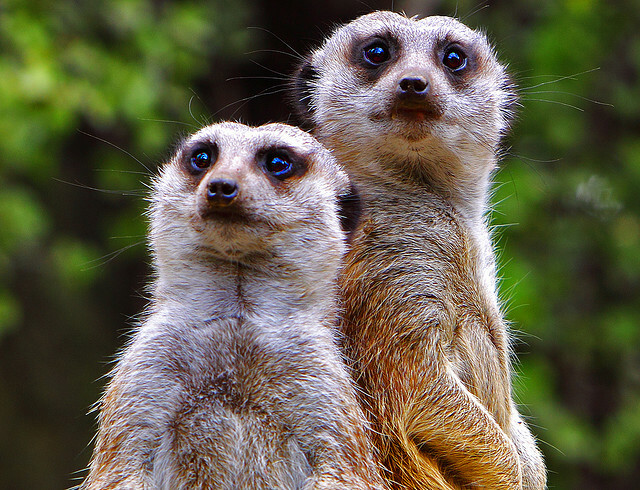 The meerkat – like the moggy in one respect at least – has binocular vision. This means that it uses both eyes together. Even together. 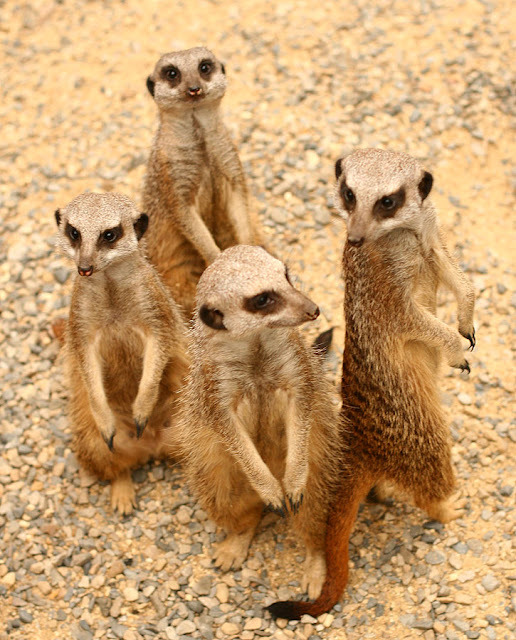 Yet before we get carried away with this cute fest, let’s remember where the meerkat comes from. 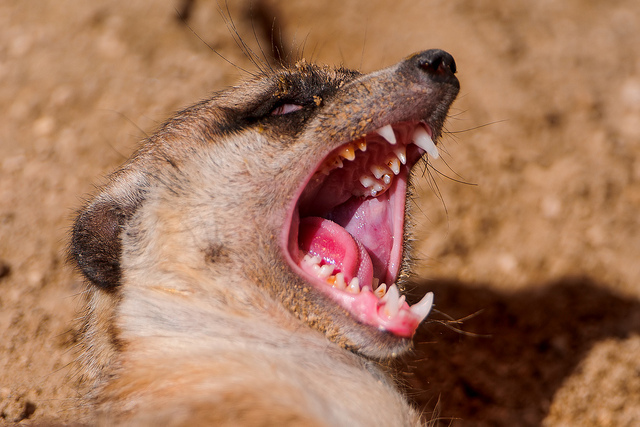 There are plenty of predators more than willing to make a snack out of a meerkat and so they do come equipped with a fine set of teeth. 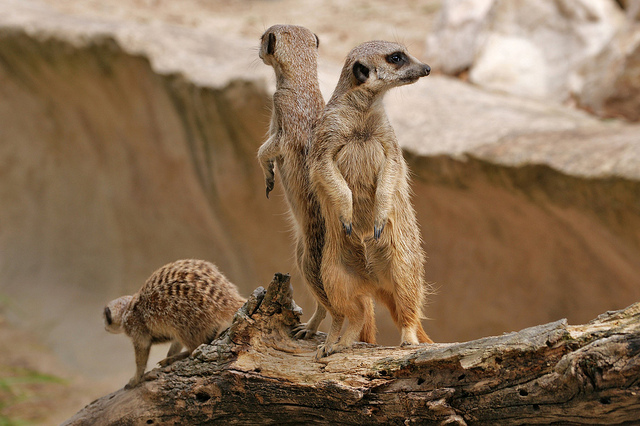 When protecting their clan or their home the meerkat will not be launching in to a rendition of hakuna matata any time soon. Dig? 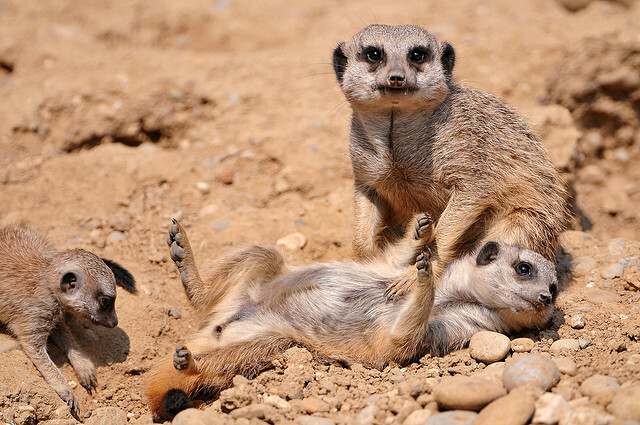 Talking of digging, how does the meerkat go about that rather arduous task? The secret to its amazing tunnelling abilities is a strong retractable claw that it has at the end of each finger. These can be two centimetres in length and as well as helping the meerkat to dig they can be useful when shimmying up and down the odd tree. Even if the animal were to be domesticated (impossible) these claws would be a major drawback to being kept in and around homes as pets. 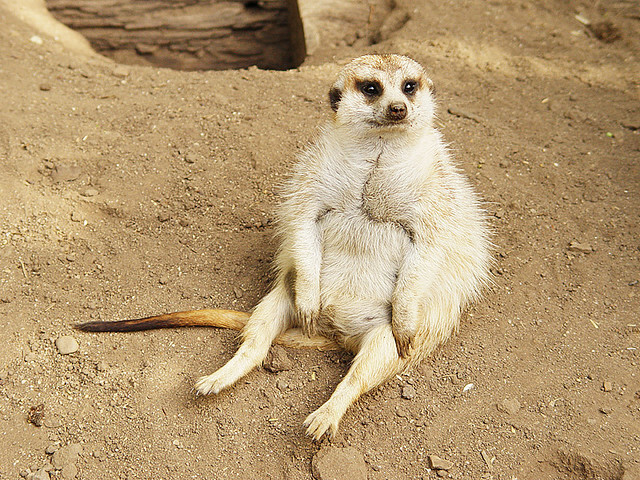 A change may be as good as a rest – but you would get none of that with a meerkat. 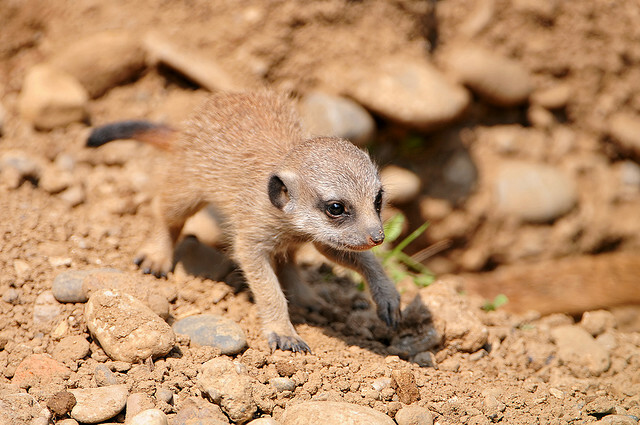 The fawn coat of the meerkat is marked with grey, brown and tan – and sometimes can appear silvery. What makes them all the more attractive to us are the parallel stripes, short but dashed across their backs which extend from the tail all the way up to the shoulders. 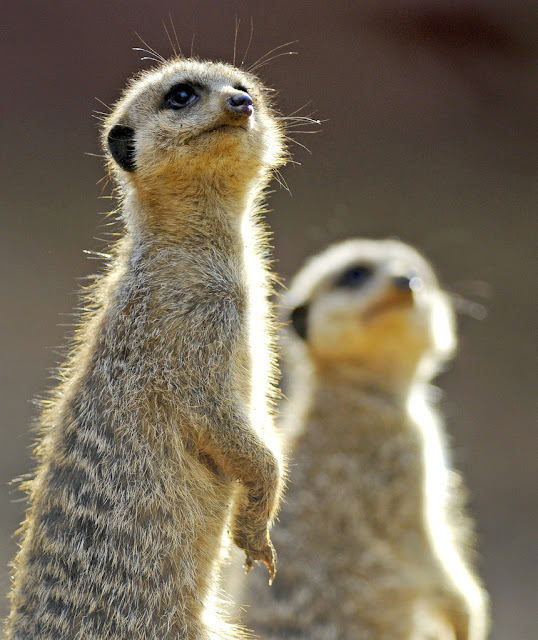 These stripes are unique to each meerkat and helps in identifying each other at a distance. The belly of the beast (as it were) is altogether different. There is a patch on the belly which has very little hair and the black skin underneath is visible. All things have a purpose, however, and this area helps to absorb heat when it is standing up. 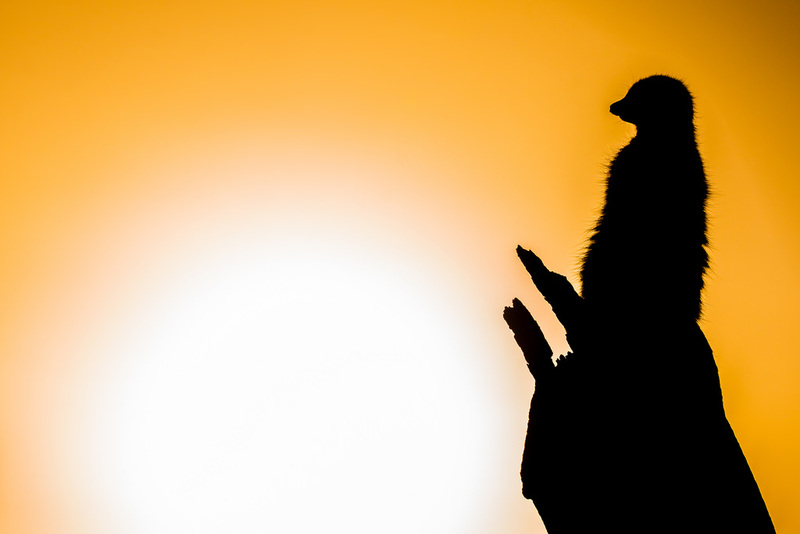 This is one reason the meerkats stand up in the morning – to warm up after the cold night of the desert in which they often live. 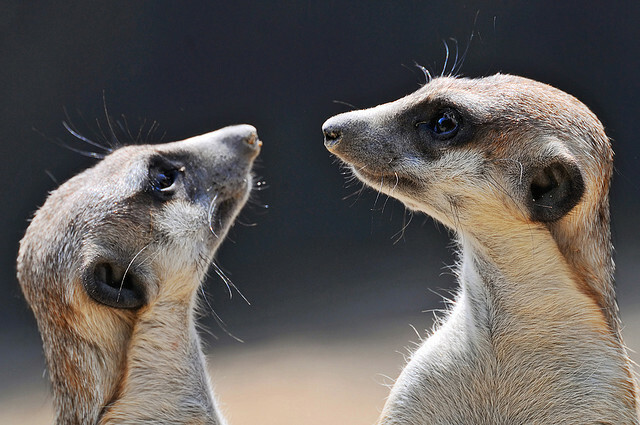 So, what do meerkats eat? Their diet is mostly one of insects but they will also eat plenty of other animals too. 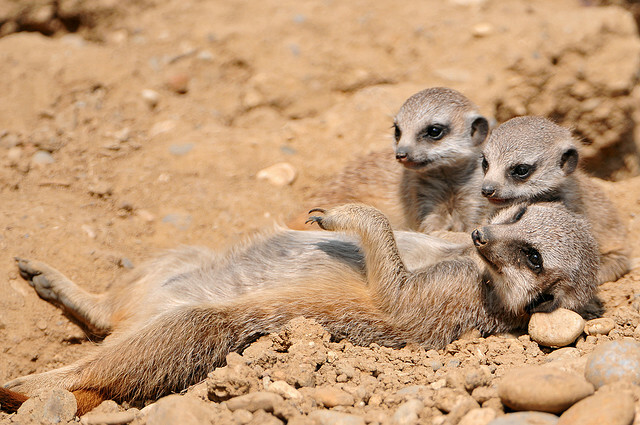 The meerkat menu includes lizards, snakes (an enemy that can sometimes kill meerkats so makes a tidy if vengeful lunch), scorpions, eggs, and small mammals. 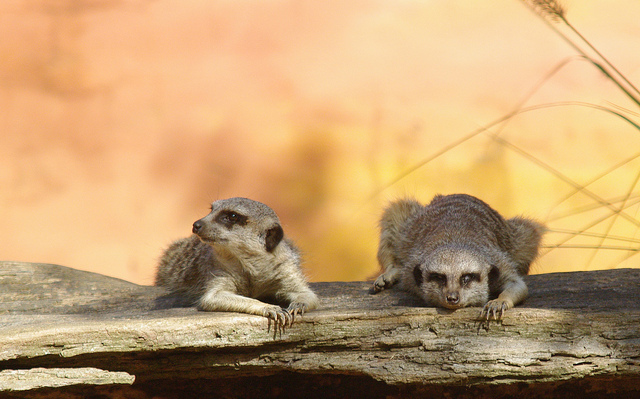 In the Kalahari Desert they are immune to the scorpion venom there – unlike us. They do need to eat regularly as well. 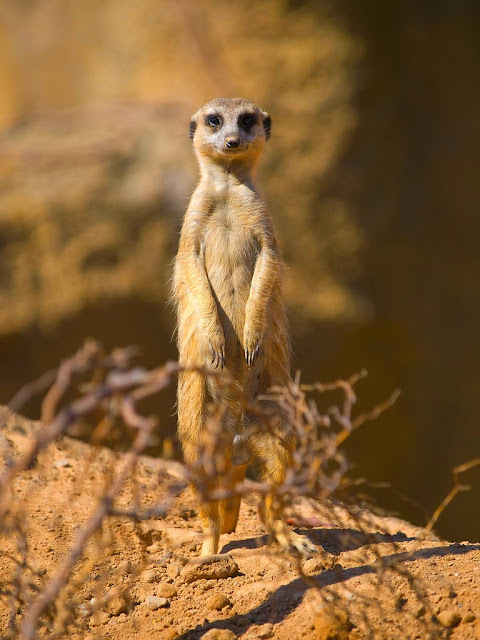 One look at a meerkat and it is evident that they are very slim and slender. In fact they have no excess fat stores and so have to forage for food every single day. 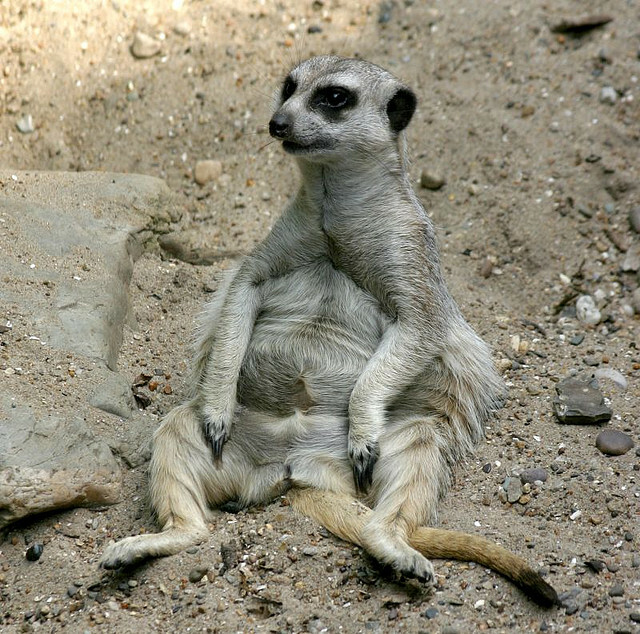 Even when they look fat, like this chap below, it is just the way he is sitting – honestly. 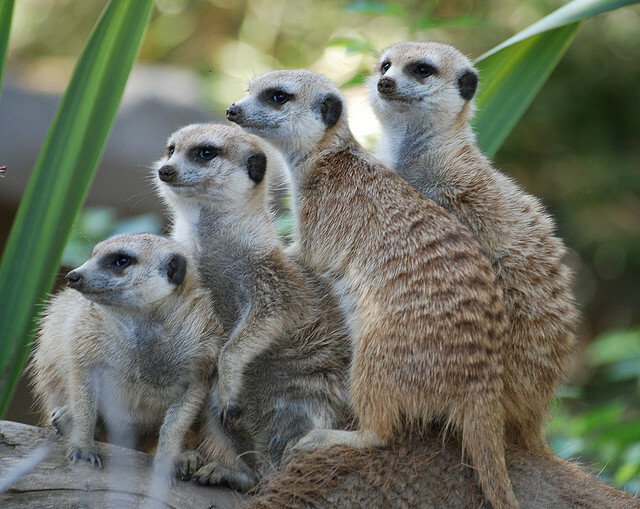 They do this in a group – safety after all can be found in numbers. 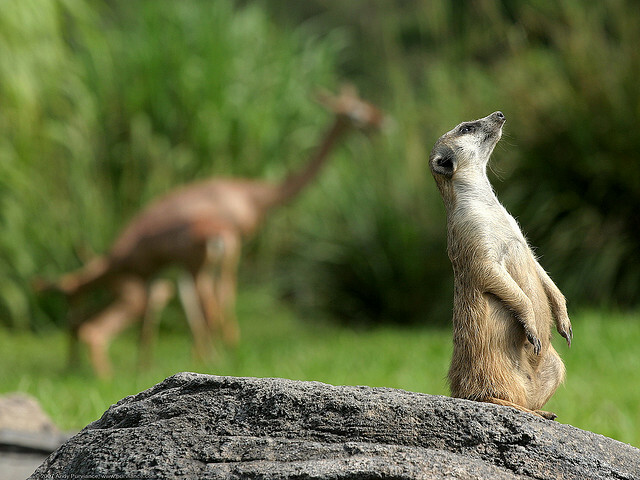 While the rest of the group forage about there is always one sentry on guard, looking out for other animals with the same thing on their minds – food! This duty is usually for only around an hour so the sentry does not get left out of the hunt for insects. The sentry lets the others know that all is well by making a peep peep sound. If danger approaches then it barks as loud as it can or whistles the others to be careful or retreat. 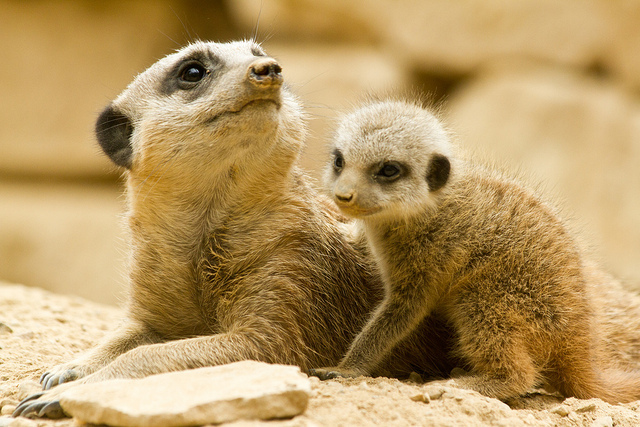 The babies will start foraging when they are around four weeks old – and they learn how to do it by watching an older experienced meerkat. 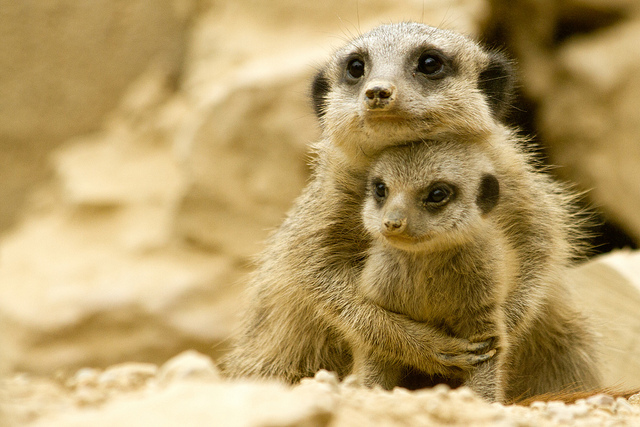 Meerkats are able to reproduce at around twelve months of age. The amount of pups varies between one and five though mostly this averages out at three. In the wild they can have up to four litters per year. As such they are an iteroparous species – this means that they can reproduce at any time of the year. When the pups are ready to leave the burrow the whole clan stands around to capture the moment. 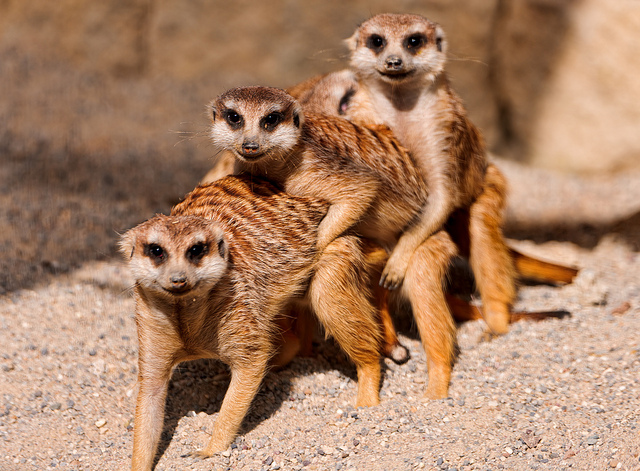 This miffs the slightly older but not yet adult meerkats some of which then proceed to show off as much as they possibly can in order to regain the focus of attention. There is no denying the cute factor, though. 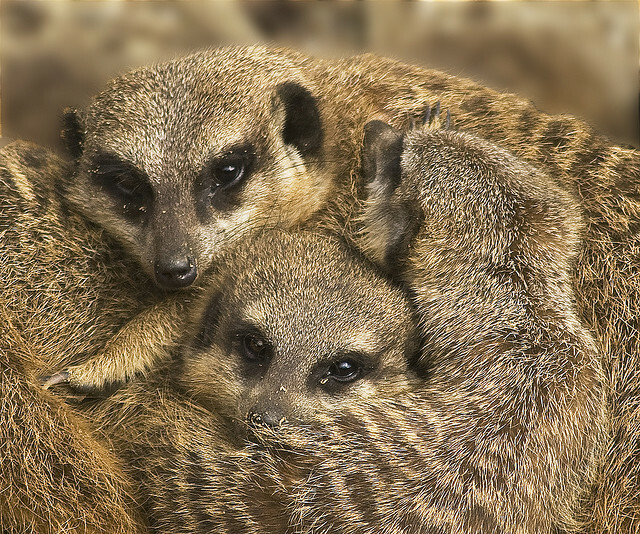 Not all meerkats in a clan are allowed to mate. 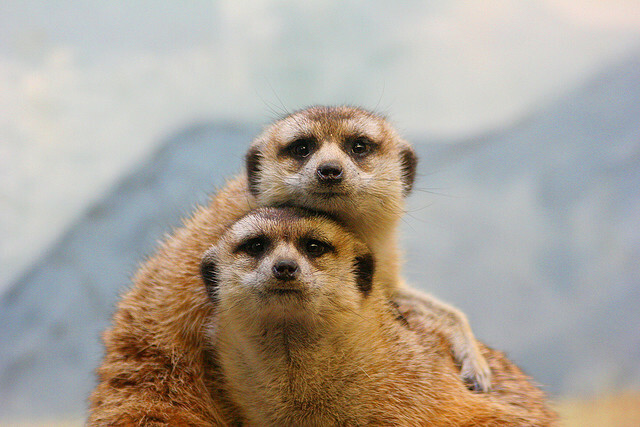 There is in meerkat society an alpha pair. These are the dominant male and female and they absolutely retain the right to mate and produce young. Any females found to be pregnant may be evicted. Even if this does not happen then once the pups are born the alpha female will usually kill them as soon as possible, even if the pups are related to her in some way. This may seem cruel but often the expelled females will meet up with a roving lone male and a new clan can be established this way – keeping the gene pool varied for future generations. 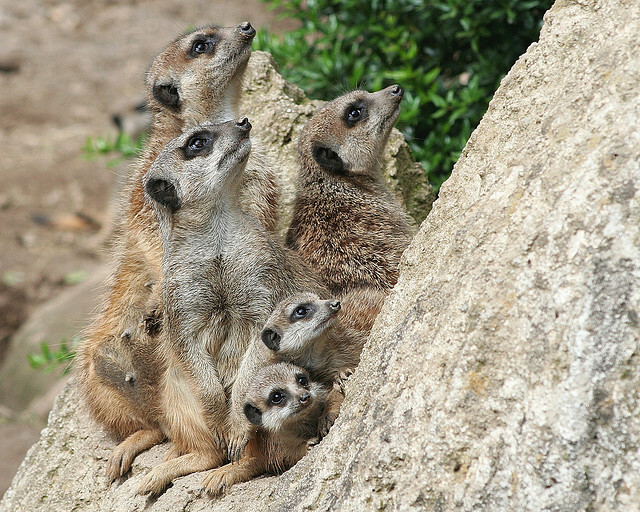 The meerkats live in large networks of underground burrows that they only leave during daylight hours. One set up like this is called a colony and on average there are between twenty and thirty animals in a colony. This can go to more than fifty but can be unsustainable for a long period due to its sheer size and animals competing to be the alpha. 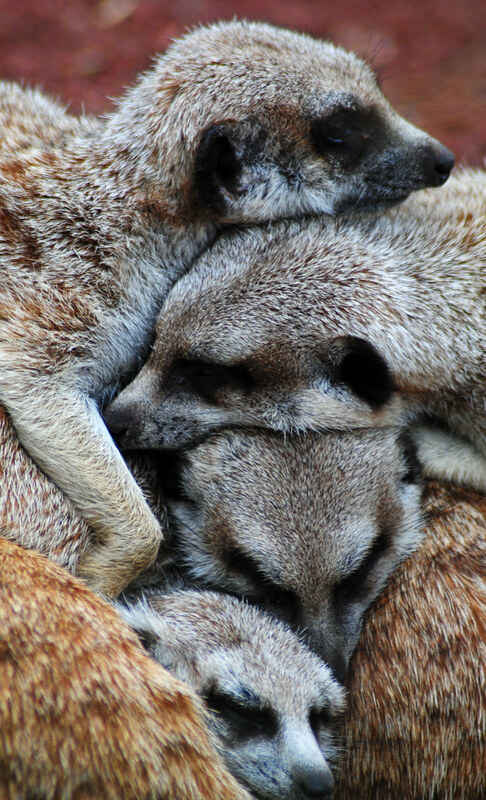 Most of the meerkats in a group will be related to the alpha pair in some way shape or form but occasionally adoptions of stray pups have been known to occur. Their extremely social behaviour – as well as appearances on TV adverts (albeit in puppet form) and nature documentaries – have endeared the species to us. Their behaviour, which often incorporates games such as wrestling and racing, only serves to make a human audience fonder of them. However, human they are not and much of their natural behaviour can seem shocking to us. 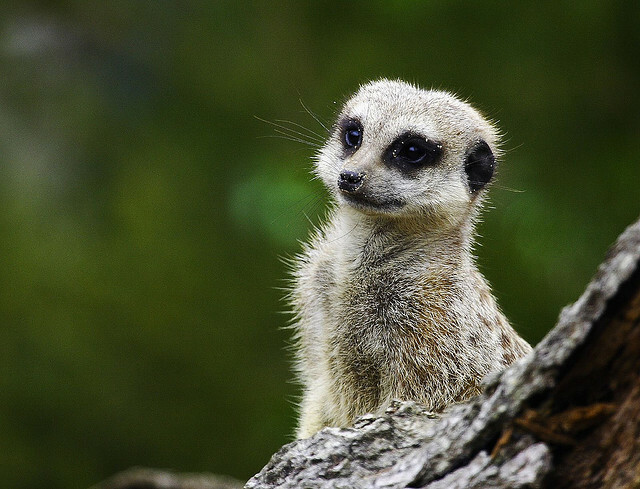 The meerkat remains, however, one of the more endearing African mammals.